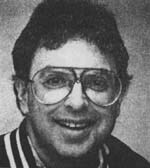 REELRADIO - The Richard Kaufman Collection! Richard Kaufman of Dallas, Texas, grew up in Livingston, N.J. listening to WMGM, WINS, WMCA and, of course, WABC. After paying his radio dues in Indiana, Georgia, and Florida, he developed "Ricky the K's Solid Gold Time Machine" for KOMA in Oklahoma. When "Uncle Ricky" spoke with "Ricky the K" in 1996, he was in his custom radio studio complete with plate reverb and vacuum-tube compressors! He has hundreds of custom PAMS jingles, on cart, and a satellite uplink behind the studio. Kaufman's program was delivered via satellite for a short time; He produced programs on the Internet from May 9, 1998 into 2009. Richard's original submission included a demo of The Solid Gold Time Machine, along with a a few airchecks from his collection. At the time this Collection was built, only Real Audio 2.0 was available. Cover the furniture as "Your leeeaaaadah!" (and the Gorilla) play up-to-the-minute music on Cleveland Superadio WIXY TWELVE SIXTY - Home of the Music Explosion! This 'check from October of 1966 shows why Armstrong and WIXY loom large in radio lore: more reverb, more jingles, more hits, and most of all, the fast-rapping, youthful-sounding All American Boy - Jack Armstrong. Jack Armstrong passed away at his home in North Carolina on March 22, 2008. He was 63. ..on the Dayton gig for a Thursday! Egads! Having not grown up in Los Angeles, I had no idea that while the "Boss Jocks" were making history on KHJ, Bob Dayton was blowing chunks on "Super 15 KBLA." The acapella jingles are particularly interesting, and you'll note the formatics keep the music moving. Interestingly, Dayton didn't always puke like he does here. "I started listening to our competitors. I really wanted to do something different and scanned the high end of the dial where more specialized stations were located. One of those stations was WWRL with a predominantly black music list and DJ roster. I heard Chuck Leonard and liked his smooth sound. I wasn't sure whether he was white or black, but I guessed he was probably black. No major New York station had a black disc jockey then. We met and agreed to a contract. When we notified the company that we were about to hire WABC's first black jock, the word came down from the top of the company. Leonard Goldenson, ABC's Chairman of the board, was delighted." "Ricky the K" (Richard Kaufman,) has recreated much of the classic 60's WABC sound - the original jingles with the reverb, the compression, sonovox, "Tonto", and many drop-ins. The Solid Gold Time Machine features a huge list of oldies. Reel Top 40 Radio Repository ©19962010 REELRADIO, INC.